Our Gemini Jewelry Display Cases are upscale and effective at giving your jewelry the presentation it deserves. Our knowledgeable sales representatives are available to assist you with your jewelry display case layout, to answer questions about our gemini line, or to help you create a custom jewelry display. 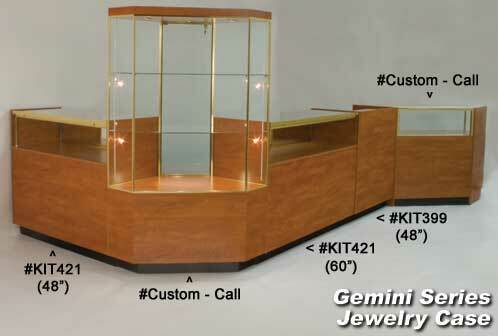 Made in the USA our Gemini Jewelry Display Case line is built with attention to detail. Be sure to check out our complete Gemini Series Display Cases. Please Move Your Mouse Over Images Above To Enlarge.